What's the deal with the Jake Skull? FYI ufso, I did perform a search and did not find my answer. Thats why I put up the post. Now I have my answer. I still dont care for the looks of the "Jake Skull" but at least I know more about it. Why do people feel compelled to instruct others on performing a search? Why take the time? As far as others on the site that are compelled to control what is asked and how many times, why do we call it a forum? Some of us are new and visit from time to time with questions. I was always told, there is not such a thing is a bad question, but there sure are alot of stupid answers. I had no idea where it originated either because I never watch the sort of organized big money corporate sponsored "racing" that spawned it. From the beginning I've thought it to be juvenile ( aka childish ) and not something I'd want on a car as classy as a vette. But, then again, I'm an "old gummer" now to use the phrase of another member here. I remember a time when people did very few mods to their brand new vettes....apparently, somehow, they were "satisfied" with the cars the way they were built. That attitude must baffle many younger owners today. But now we have cars that look, to me at least, like cartoons ( the new Camaro ). I owned a number of first gen Camaros and they looked classy IMO. The current one is hideous IMO. But, it's all driven by marketing. Marketing either follows trends or creates them to suit the company purposes. I'm getting really curious to see what the C7 looks like. I'm not optimistic. The C6 has gotten almost cartoonish itself. Gee, thanks for sharing that. NOT! While Jake became the mascot of corvette racing, GM came out with the CSC and GT1 corvettes in 2009. They were the first cars to come out with jake from the factory, the skull was sort of hidden in the hood decals on the gt1's and then embroidered on the seat backs and center console. They had some other nice stuff too but basically an appearance package but very few made. Should be worth "millions" within a year or two! Of course i'm joking but wishful thinking since i have two of the gt1's. 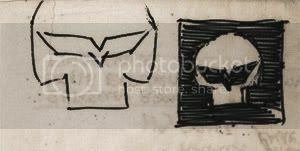 In addition to the above, The use of insignia, emblems, markings, etc. to instill fear in enemies or competitors is ages old. Also, the associated slogan of "...Take No Prisoners..." with roots in pirate history (yea for Capt. Jack Sparrow and nay for Somali pirates = maybe not so politically correct) is intended to reflect a winning/give no quarter attitude in competition. Its all about psyching out your opponent. All part of gamesmanship. Partly as a throwback to my childhood, I mounted a chrome Jake under the hood on my air intake when I got my current vert 2 years ago, and I just added a Jake pin to one of my Corvette baseball caps. Why? Because its absolutely a cool graphic and I'm showing my support of the race team. By the way, how about that last minute first place win at the Petit Le Mans? Go Team! I personally like the logo, but then again, I do alot of mods to my car so I am sure I am the enemy to any purists who think mods are no good. IMO I am enjoying my car to it's fullest and will continue to do so. My car is still very classy, looks almost stock, and has the HP to back it. Can the logo be overdone? Absolutely, just like anything else. But done tastefully, it truly is a nice addition to the vette. At a car show this summer, a fellow vette owner was checking my car and saw the Jake decal I have and made the statement that my car deserved to wear it since I use the car on the track, while his unmodded car had no business having one. My response to him was that every vette deserves to wear it since anyone who owns a vette should be proud to have a car with such an amazing racing history, both past and present. I told him that the fact that he had a vette and was passionate about it was all the reason he needed to use the emblem. And let's be honest, the Take No Prisoners logo with the skull is pretty intimidating and is perfect for a vette since the vette, again in my opinion, is the most intimidating sports car out there. It is truly an American icon. I agree, I like it, but sometimes it is over used. I'm not sure the word "classy" describes either car. That word just does not sound appropriate for either. Slick, cool, neat, sporty, sick, mellow...all a maybe, but classy? Sounds like something on a luxury car. I do agree with most of your other statments, however. And, I do like Jake. Last edited by RnLi; 12-28-2010 at 12:10 AM. With all due respect, considering how long this forum has been in existence, is there really a such thing as a new question? Location: S.F. Bay Area CA. It was a new question for me and apparently a topic that at least a few others were wondering about. Some good answers were provided and I now know much more about "Jake" than I did when I asked the question or...... when I performed the search. I would assume that's the purpose of this forum. Thanks to those that provided constructive answers. I agree with you. This is a message board and not everyone cares to spend time researching when if asked someone will always answer. To each his own. To some people these topics are new, to others they are old or beat to death, so what. Its never a good thing when someone other than the moderator tells people how to behave on a public board. Location: Stafford VA, home of our wolf den. No house break ins to date. "...We were at Le Mans in 2004 and we met the Corvette Racing team. We noticed that the team had unofficially embraced skull icons as a symbol of the take-no-prisoners mentality of those intense 24 hours. "TAKE NO PRISONERS" was actually scrawled on the wall of the Corvette pit. We thought that the team should have its very own skull icon and we sketched our idea over beers on a cocktail napkin. The C6.R "Mascot" made its debut on C6.R's b pillars the next year at the 2005 Le Mans race. They've been on the C6.R's ever since. What can we say except that we're extremely happy & proud to have our design on the coolest racecars in the world." I don't feel the need to festoon my car with Jake's but to each their own. 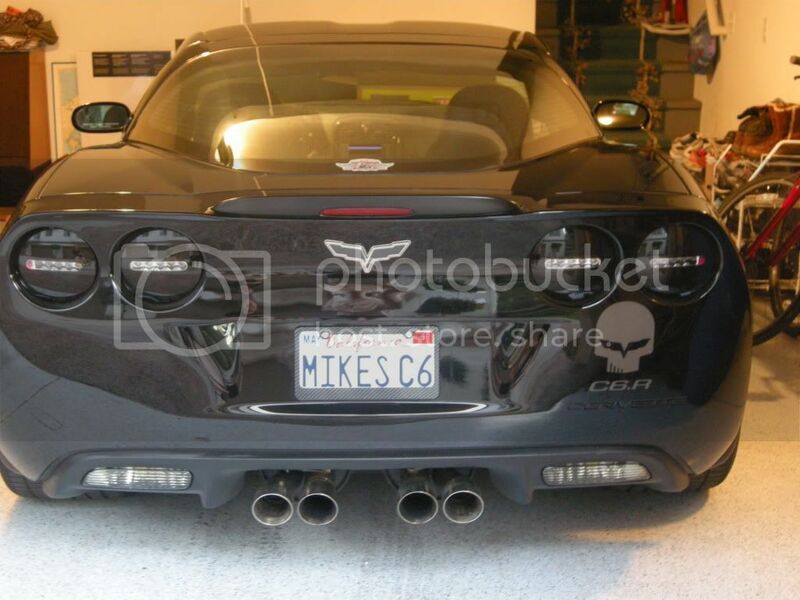 I think its a fun tribute to the Corvette Racing take no prisoners attitude. I have one Jake on my car...incorporated into our Arizona Corvette Racing (group) logo. That's enough Jake for me. and I've said this before just have others have admonished some for not so original questions. Happens all the time - get over it. It's an overused,played out emblem.Leave it to the racing boys where it started and where it belongs. Thats the same thing i thought, i actually thought punisher gave them the rights. but didnt know when corvette started doing it. Still like it though. Quick Reply: What's the deal with the Jake Skull?